Tropicalia is an awesome dance club on the bustling U St. in northwest Washington, D.C.. People would love the decor, the vibe and the live world music that pumped through it's state-of-the-art sound system. Only one little problem... How would they find the place where you need to go down from street level to even discover it? That's where I came in! Brian Liu, who I've known for years, was one of the main creators of the concept. He knew I created mosaics and had to get me in the picture. He and I worked tirelessly with the owner to devise a plan to draw people in. 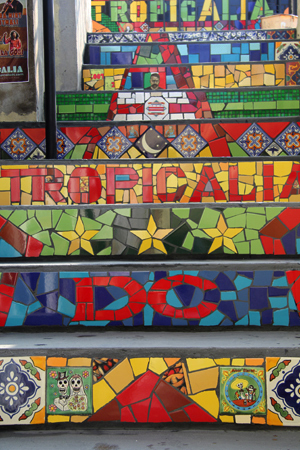 A unique blending of colorful Mexican tiles and carefully selected domestic pieces came together to adorn the riser part of the stairs. Now whether it's day or night, one's curiosity is piqued by this beautiful design inspired by steps in Rio de Janeiro. But wait, THERE'S MORE! 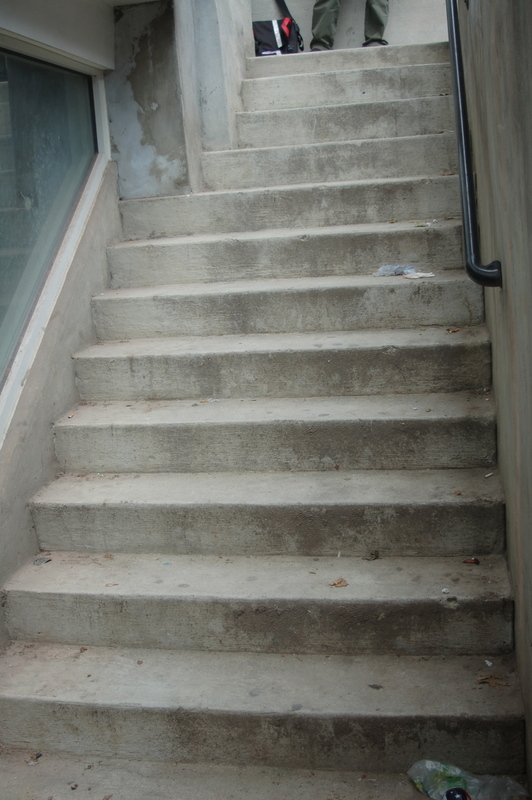 Even before we designed the steps I knew the window was another point to attract attention. I devised a way to create the name in a faux stained glass piece. With inside lights subtly flooding the stained glass their color emits a glow that fills the stairwell. 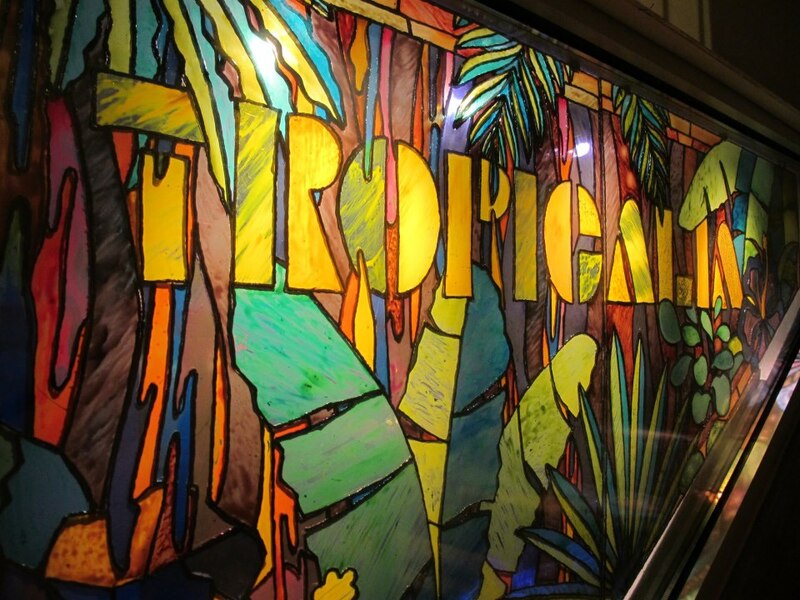 It is in this way that I helped to make TROPICALIA the success story that it is today. Put on your dancing shoes and head down to U St. tonight. Check out my work and dance the night away - you'll be glad you did!